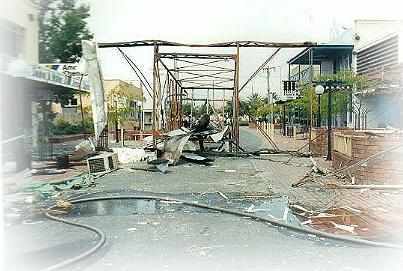 Just before midnight on Sunday March 17th 1991 Morwell Central Business District was rocked by an explosion centred in Church Street. The explosion devastated the cosmopolitan retail precinct causing multi million dollar damage. Damage was extensive reaching businesses not only in Church Street but also Buckley Street, Princes Drive and Commercial Road. Following are a series of photographs kindly donated by local businessman Bill Taalman.